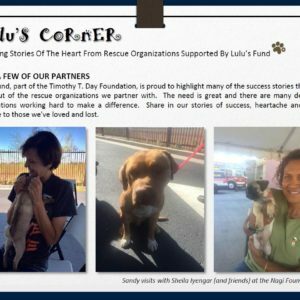 The Heart From Rescue Organizations Supported By Lulu’s Fund, part of the Timothy T. Day Foundation, is proud to highlight many of the success stories that have come out of the rescue organizations they partner with. 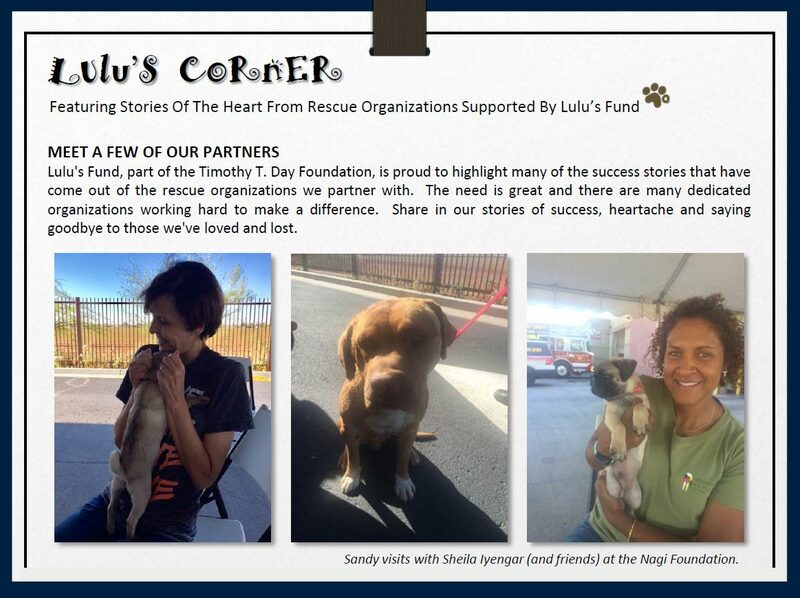 Nagi Foundation is honored to be featured as their May partner. Read more about it on their newsletter.